Earlier this month when the Zimbabwe Men’s National Team took to the pitch in the 2017 Africa Cup of Nations (AFCON), Grassroot Soccer Zimbabwe was represented by graduates, former coaches, former staff, and Ambassadors. While the “Warriors”, as they are known, did not advance to the finals, we are proud of the leadership, tenacity, and teamwork of these young men as role models to our participants. Teenage joined Grassroot Soccer as a Coach in January 2004. 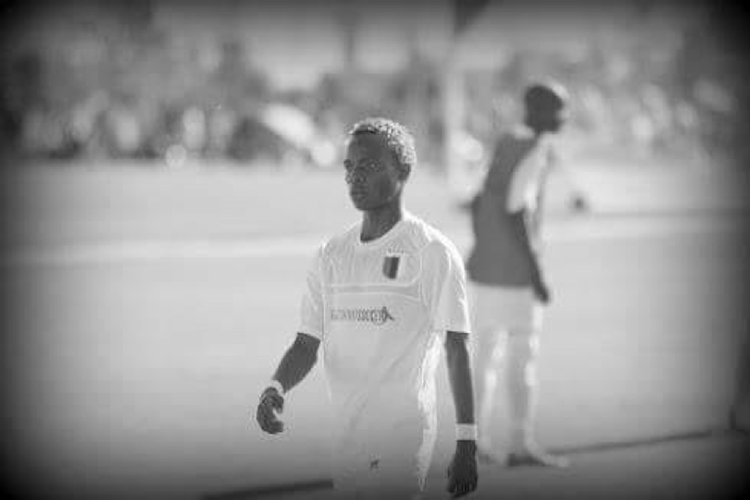 Teenage played for Bantu Rovers FC, Highlanders FC and is currently with Chicken Inn FC. Tinaro also played in the Zimbabwe Under-23 squad before being called into the National Team as a defender. Teenage “Tinaro” Hadebe, right, during his time with Bantu Rovers and as a GRS Coach. Kudakwashe Mahachi is a former GRS participant having participated in the first PEP FC holiday Camps in 2006. 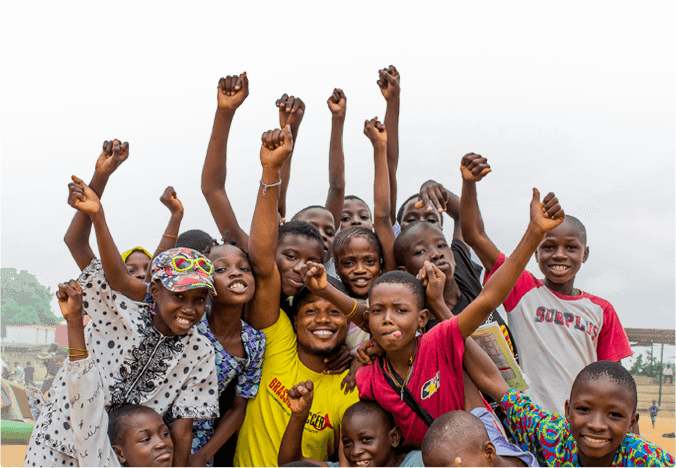 “Nkembe” went on to represent GRS in the FIFA Football for Hope Festival in South Africa in 2010, as part of Grassroot Soccer’s membership in streetfootballworld and as a beneficiary of FIFA Football for Hope. Kudakwashe played for the following teams in Zimbabwe before joining SA outfit Mamelodi Sundowns: Bantu Rovers FC, Highlanders FC and Chicken Inn. Nkembe currently plays together with Danny “Deco” Phiri for Golden Arrows FC in South Africa, and is a midfielder for the Zimbabwe National Team. He scored a goal in the Warrior’s match against Algeria in the 2017 AFCON. Kudakwashe “Nkembe” Mahachi was a GRS participant, pictured here during his time with Bantu Rovers FC. “Khupha”, as he is affectionately known, joined GRS in 2002. He has worked with GRS as a Coach, staff member and is currently a GRS Zimbabwe Ambassador based in Harare. He was part of the team that implemented the MCUTS trial, promoting Voluntary Medical Male Circumcision. Khupha is a former Amazulu FC, Highlanders FC and Zimbabwe National team player. He is currently the Zimbabwe Warriors Assistant Coach. Coach “Khupa” with GRS participants. “Marve” was also a GRS participant in our 2006 PEP FC holiday camps, together with Kudakwashe Mahachi. Marve played for Bantu Rovers FC before moving to France where he played for Nancy FC. It is during his time there that he was spotted by Vitesse FC of Netherland, where he currently competes, along with playing as a midfielder for the Zimbabwe National Team. 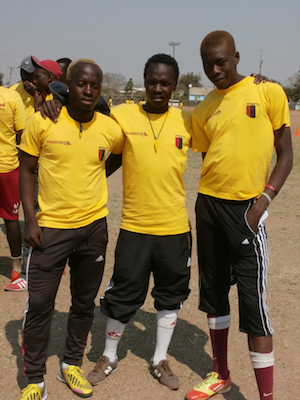 Marvellous Nakamba, right, is a former GRS participant, pictured during his time with Bantu Rovers FC. 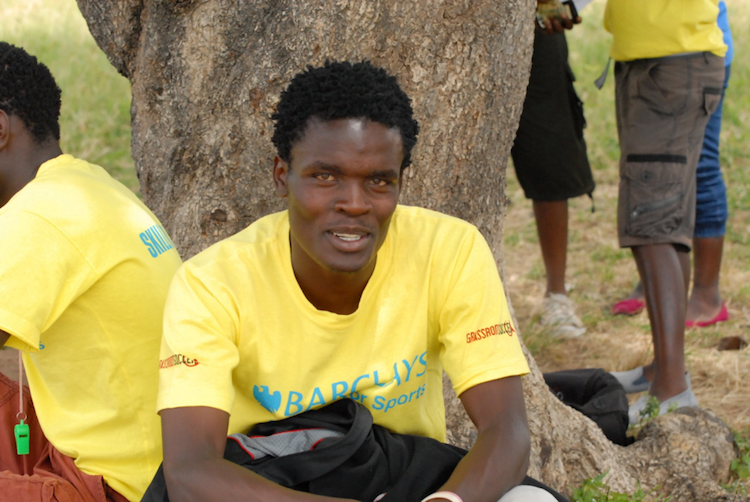 Danny is a 26-year-old former GRS Coach and GRS Zimbabwe Ambassador. “Deco” joined GRS in 2012. He cut his footballing teeth at Railstars FC, then joined Bantu Rovers in their maiden season at the PSL in 2008 before joining Chicken Inn. It is during his Chicken Inn time that he was spotted by Golden Arrows scouts. Danny currently plays for Golden Arrows FC in the South African Premier League and is a midfielder on the Zimbabwe National Team. Danny “Deco” Phiri is a former GRS Coach and GRS Zimbabwe Ambassador. Note: Thanks to Primrose Siziba, GRS Zimbabwe, for this submission.